By putting in a request on this site or when calling our customer support team, you are consenting to the accompanying terms and conditions. On the off chance that you wish to change your request, kindly do as such through the My Account region of the Chandigarh Florist site or on the off chance that you have no Account in this way, you can drop us mail. We’ll generally do our best to roll out a minute ago improvements for you, however we can just roll out improvements (counting to the conveyance address and card message) asked for made by 6pm on the day preceding or possibly 24 hours before dispatch. If it’s not too much trouble take note of that once arranges have been ‘doled out to generation’, no progressions can be acknowledged. For busy season (Valentine’s Day, Mother’s Day, Christmas Day, New Year, Rose Day), we can’t promise to acknowledge changes to orders inside 72 hours of the planned conveyance date. Requests can regularly be wiped out up-to 48 hours before the planned conveyance date. You can wipe out your request by means of the My Account zone of the Chandigarh Florist site or by calling client administrations. If it’s not too much trouble take note of that once arranges have been ‘doled out to creation’, orders can’t be change. If it’s not too much trouble take note of that once arranges have been ‘allotted to processing team’, no progressions can be acknowledged. For busy season (Valentine’s Day, Mother’s Day, Christmas Day, New Year, Rose Day), we can’t promise to process requests inside 72 hours of the expected conveyance date. Our site has a safe checkout (we utilize SSL Certificates and pass through the Internet Security Test), so we urge you to submit your requests on the web. Once in a while, notwithstanding, bank-related installment disappointments happen that keep us from tolerating your request instantly. Every so often, card points of interest that are entered effectively and supported by adequate assets are not approved on the grounds that the card guarantor is playing out an arbitrary security check. In these cases, in spite of the fact that we’ll have gotten your request, we’ll have to take installment via telephone. We’ll email or call you as quickly as time permits in these conditions. On the off chance that you get a message letting you know that installment has not been approved, please contact our client administration group promptly to guarantee your request is conveyed on time. Attributable to time contrasts, installments made out of available time, or issues getting hold of you by means of the contact informations you’ve given, we’re now and again not able to handle a substantial installment preceding the asked for conveyance date. Despite the fact that this postponement is lamentable, it is outside our control and we can’t offer any type of discount in these conditions. We offer various planned Delivery alternatives. Notwithstanding, please take note of that other than these standard Delivery alternatives; we are sadly not able to make Deliveries inside client determined eras. Amid unfriendly climate conditions, (for example, overwhelming Rain, Strikes, flooding or high winds), our Delivery groups will most likely be unable to Delivery orders on time. This is outside of our control and we can’t acknowledge duty regarding the late Delivery of the request. In this way, in case of unfriendly climate conditions, we aren’t ready to discount or offer re-Delivery of influenced requests. For full details with our Delivery related arrangements, please see our Delivery information page. Every Gift item are liable to availability. In case of any supply troubles or if the blooms we have gotten from our growers that are expected to make up your request don’t meet our standard norms, we maintain all authority to substitute any item with a substitute result of a comparative style and proportional (or more prominent) worth and quality. Where this is essential, and the substitution is valuable, we will attempt to get in touch with you by means of email. On the off chance that you wish to talk about the substitution we have made, please contact our client service group. If you don’t mind take note of that foliage and sundries (counting vases) might be substituted without notification. Since our Flowers are sourced specifically from producers and sales, blooms are ordinarily conveyed in bud or bloomed structure meaning they will last more with the beneficiary. Our flowers are packed carefully to guarantee they land as new and lovely as when they exited our Flower emporium, yet some of the time Flowers do get harmed in travel. Should this happen, please reach us so we can share your feedback with our team. In case of non-Delivery on the chose Delivery date, we will either refund you or redelivery your request – it is your decision, simply let us know. We and our dispatch accomplices are human. On the off chance that we neglect to convey your request we will refund. If it’s not too much trouble take note of that banks may take 3-5 days to discount the sum on your card. We just permit one voucher to be utilized per request. The voucher will be applicable on the Product you will select and not the Delivery. Client and beneficiary individual details. To guarantee that we can discuss adequately with both clients and beneficiaries, it is essential that you give precise individual details. We utilize this data to give a superior client experience by sending request affirmations, dispatch affirmations and Delivery affirmations. We will likewise utilize the client’s email address if we have to make substitutions. If you don’t mind guarantee that email address is correct. We utilize this data for MasterCard acceptance. We require this data keeping in mind the end goal to convey the Flowers you have requested. It is fundamental that the beneficiary’s location is precise. Much obliged to you for you request, and we trust your Chandigarh Florist experience will be a pleasurable one. All duplicate and pictures on this site are claimed by Chandigarh Florist Commerce Limited and ensured by Copyright. 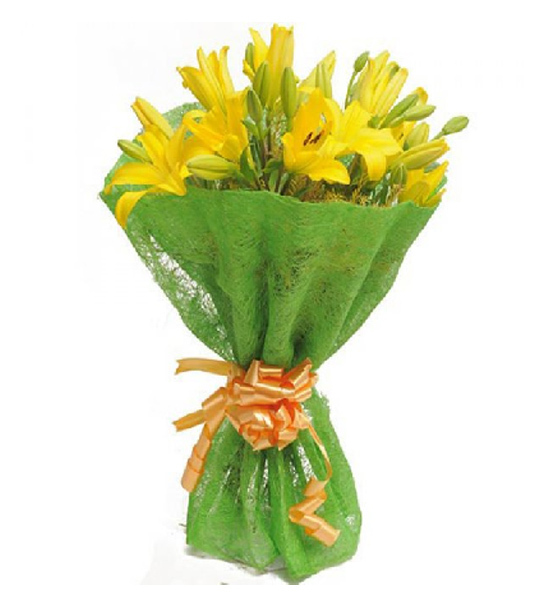 All Next day products conveyed blooms are dispatched from our local outlet. Different items are dispatched direct from suppliers. Deliveries are typically made between 7 Am and 1 Am. Be that as it may, due to busy periods, these Delivery times may vary marginally, and we can deliver between 7 Am and 1 Am. Deliveries are accessible from Monday to Sunday. Where conceivable, we will endeavor to get a mark from the expected beneficiary of the Flowers. If standard Delivery is picked, we can’t promise a precise Delivery time. If nobody is accessible to get the Delivery, our messenger will follow any Delivery guidelines, leave the request safely or with a neighbor and leave a Delivery at the doorstep. If they can’t leave the request safely, the driver may give back the item(s) to their neighborhood warehouse. Customer can give request to reschedule Delivery or gather the products from the nearby outlet. In the event that no move is made, the messenger will typically re-endeavor Delivery the accompanying working day. If it’s not too much trouble take note of that client need to pay additional for re-Delivery and afterward endeavor will be made. Under normal conditions, we get dispatch and Delivery warnings from our messenger. We then utilize that data to keep you educated of the Delivery advancement of your request by means of email and/or SMS message. In some cases, this service is not ensured. Likewise, there might be some deferral between the event of a Delivery occasion and us accepting notice. In the case of a non-Delivery, clients are typically qualified for a discount or re delivery. In the case of late Delivery on the picked Delivery date, we will regularly offer some discount according to order. For Deliveries to big organizations, healing centers, colleges etc, Deliveries will ordinarily be made to the gathering or post-room. Delivery to the named beneficiary is impractical to these sorts of locations by and large. It would be ideal if you see underneath for more data. If the location gave is incomplete or deficient or if the Delivery is denied, we claim all authority to energize to 100% of the first request worth to re-convey to the same or a substitute location. We can’t call beneficiary preceding Delivery. We don’t promise to follow all Delivery guidelines. All same-day Deliveries are passed to a transfer system who then pass orders onto neighborhood flower vendors. For some rural ranges or zones where our flower specialist system does not have a flower vendor, we will most likely be unable to satisfy the request. For this situation, we will get in touch with you offering a full discount or a late Delivery satisfied from our central office. Deliveries are accessible from Monday to Sunday. Deliveries are typically made between 7 Am and 1 Am by a flower vendor neighborhood to the beneficiary location. Our same-day Deliveries are just accessible to INDIAN locations accessible on our site. We are not ready to convey to outside Country. For same-day Flower Deliveries, we can’t promise an accurate Delivery time. We can’t give Delivery notices to same-day orders. If nobody is accessible to get the blooms, the flower specialist’s driver can ordinarily leave the Delivery at the doorstep or to the neighbor or can take Delivery back to the outlet. In the occasion of a non-Delivery, clients are typically qualified for a refund (partial refund /derivation of handling expenses) or re delivery (need to pay re-Delivery charges). In the case of late delivery on the picked Delivery date, we will regularly discount the Delivery charge (if paid additional for fix time or midnight) connected with your request. For Deliveries to big organizations, doctor’s facilities, colleges and so forth, despite the fact that our flower specialist’s driver will attempt to convey straightforwardly to the beneficiary, this is not ensured. Now and again, it might be important to leave blooms with the gathering or post-room. It is then their duty to guarantee that the blooms achieve the beneficiary, Please see below for more details. If the beneficiary details given is incomplete or if the Flowers are denied, we maintain all authority to charge up to 100% of the first request quality to re-convey to the same or a substitute location. We don’t promise to follow all instructions. To empower us to get in touch with you in regards to an issue with your request, please ensure that you have given a substantial Order no. , email address and/or contact phone numbers. Please guarantee that somebody is accessible at the Delivery location to get the Delivery. In the case of a Delivery issue, we will try and contact the client to resolve the issue. In uncommon conditions, our drivers can’t convey a request. This might be because of issue with the Delivery vehicle. We guarantee that these event are minimized, yet if we can’t convey the request attributable to conditions that are within our control, we will get in touch with you promptly by means of email or telephone to arrange a re delivery or provide some discount. We maintain all authority to give extra pay as a markdown off a future buy from www.ChandigarhFlorist.co.in. No other type of pay is acknowledged. To guarantee an effective Delivery, please guarantee that the Delivery location is precise and complete. On the off chance that conceivable, please give extra Delivery directions to assist the Delivery driver with finding the beneficiary’s location. We can’t be considered in charge of failed Deliveries that outcome from an issue with the location and/or postcode you give at the time of placing request, if the Delivery was denied by the beneficiary or the way that the beneficiary no more lives at the location gave. We are not in charge of some other expenses brought about by the client because of failed Deliveries. In a few conditions, for instance, when conveying to some work locales, doctor’s facilities or colleges, we will most likely be unable to convey the Flowers specifically to the planned beneficiary. It would be ideal if you take note of that these conditions are outside our control. For this situation, we will convey to the gathering region or post room and (where conceivable) acquire a mark from the secretary (or security). This mark will be our record of Delivery. To guarantee the most astounding probability of Delivery achievement, please guarantee that you give however much data in regards to the area of the beneficiary as could be expected inside the Delivery directions, including office name, floor number, and so on. Deliveries to clinics are regularly dangerous as patients move from ward to ward, or are released. Moreover, numerous doctor’s facilities don’t acknowledge Flower Deliveries because of well-being and security confinements. It is thus that we no more prescribe that Flowers are conveyed to a healing facility. On the off chance that a request is set for Delivery to a doctor’s facility and the Delivery is not fruitful, we maintain whatever authority is needed to not discount or resend the request. Because of the extent of college grounds, it can regularly be hard to find beneficiaries at colleges. We are thus not ready to convey to beneficiaries themselves and will dependably convey to the college post room or gathering. If it’s not too much trouble guarantee that you sufficiently incorporate data for the post room/gathering staff to have the capacity to find the proposed beneficiary of the Flowers. We are not at risk for the non-Delivery of blooms to beneficiaries at colleges as we have no control of the Delivery once it achieves the post room/gathering. On the off chance that you wish to request Flowers for Delivery to a place of work, we suggest that you utilize one of our planned Delivery time slot (where accessible) to guarantee Delivery is made inside available time. If our standard Delivery alternative is decided for a place of work and a Delivery between 11.00 am and 6.30 pm falls flat attributable to the beneficiary not being accessible, or the business being shut, we won’t acknowledge any risk for the non-Delivery and maintain whatever authority is needed to charge an extra creation and Delivery charge for any ensuing re delivery. In the event that you choose to wipe out the request as opposed to organizing a re delivery, we maintain whatever authority is needed to deduct a cancellation expense from the discount esteem. Flowers, We adore them. Also, not just on the grounds that they look great – in light of the fact that they notice great, as well. So you can envision precisely how sad we are if any experience you have of us makes you wrinkle your forehead like a shriveled petal or leaves an awful stench in your nose. That is the reason we make it our need to get things right the first run through. Each rose has its thistle, however, and we should admit that, on uncommon events, things do turn out badly. It drives us insane, yet it’s one of those seemingly insignificant details we need to live with as people. We don’t need to live with the aftereffects of these errors, however – and you positively don’t, either. Along these lines, if for any reason you’re not completely 100% satisfied with your Chandigarh Florist experience, set up your hand. We esteem your criticism. Even better, fill in a structure simply let us know! We guarantee that if your misery is any issue of our own, we’ll generally offer to put things right with a thoughtful ear that truly, genuinely and really cares what you think.